Monitor all your app and DB servers using the Monitoring feature. 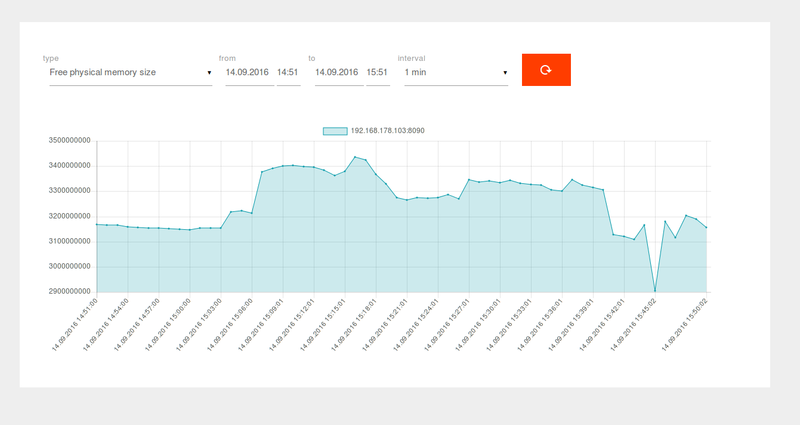 A small service running on all nodes reports performance and health data to ApiOmat. The Dashboard will provide straightforward filtering and scaling mechanisms to detect problems even before they occur. See more details at the docu page. Beginning with Version 2.4.0, we are supporting Suse Enterpise Linux 12 as well as Ubuntu 16 LTS. Find all available installers at the installing manual. Version 2.4 uses by default a new yaml based config file, which is usually created in the config directory as apiomat.yaml. Dashboard and YAMBAS settings can be set there hierarchically. See more in the documentation. Due to the support of new operating systems, we had to change the linux repository path and user. To update to version 2.4.x, please remove the old apt/rpm repository and add the new one according to the documentation before starting the update command. Version 2.4 has migrated to the newest Swagger version 1.5, which is implementing the OpenAPI specification 2.0. This way, the Swagger generated definition of models and data can be used in a series of other tools to automatically connect to ApiOmat. Old implementations of rest classes will still work, but not shown in ApiDocs nor in the MyModules page in Dashboard. Usage of constructors now possible. Old code can remain as-is. More information can be found in documentation. When having thousands of data entries stored offline in client, on some installations the header of the client became too large. To enable offline handling and delta sync even for this use cases, we offer a new variant of delta sync which requires only a timestamp to be send with the client request. The documentation contains more infromation on how to enable on client side. All further important changes can be found at the root page of release notes.